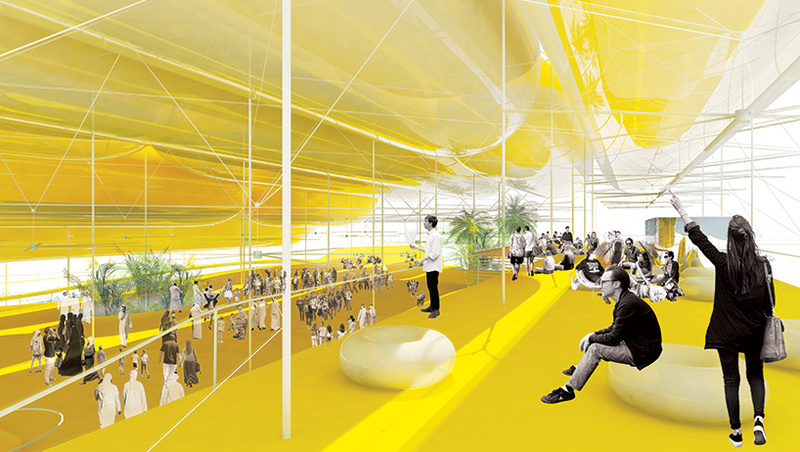 FRPO, or rodriguez & oriol architects, is a madrid-based architecture firm led by fernando rodriguez and pablo oriol. 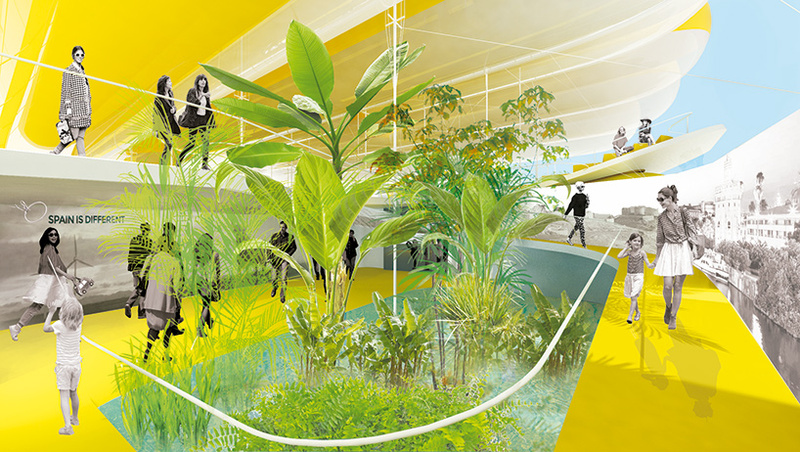 in the duo were founding partners of nolaster oficina de arquitectura, where they developed their professional activity until 2007. in 2008 they established FRPO as a natural evolution of their previous professional experiences. 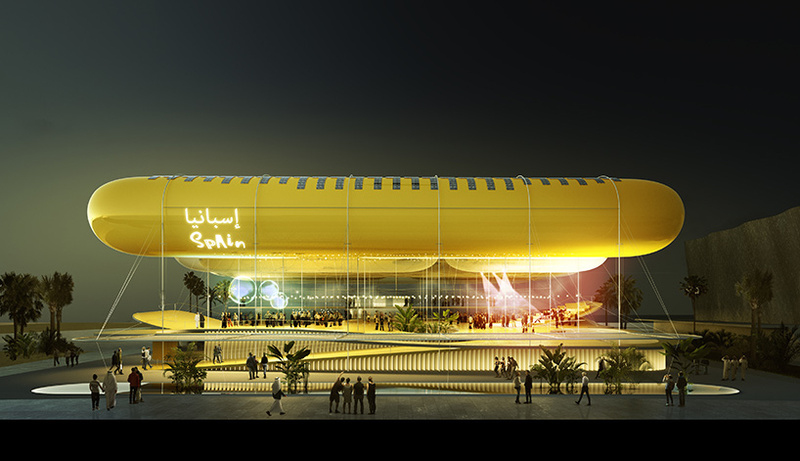 architecture firms selgascano and FRPO have unveiled their proposed design for the spanish pavilion at expo 2020 dubai. 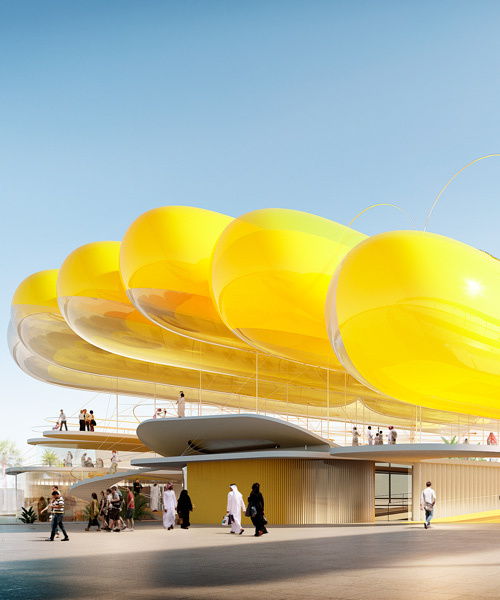 the roof canopy of the temporary structure comprises nine yellow cylinders made from recycled ETFE. these lightweight inflatables are supported by a steel framework. the entire scheme has been conceived as an interpretation of a typical spanish plaza, a welcoming public square that visitors can occupy in a variety of ways. 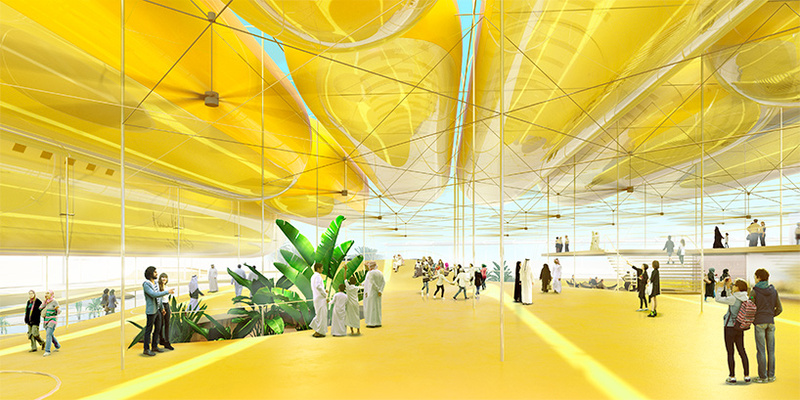 as expo 2020 will be held during dubai’s cooler months, selgascano and FRPO’s design takes advantage the lower temperatures with a generous amount of outdoor space. the two cylinders at the front of the pavilion can move up and down, opening or closing the pavilion in response to climatic conditions and events. beneath the dynamic canopy, a matrix of fans helps circulate air, while shade, ventilation, and micro-evaporation are used to ensure comfort. as with any other plaza, the idea of the square is linked to the presence of water, which is never wasted. conceived as oases, three areas of native vegetation and moving water help temper the heat, while serving as sources of freshness, shade, and life. 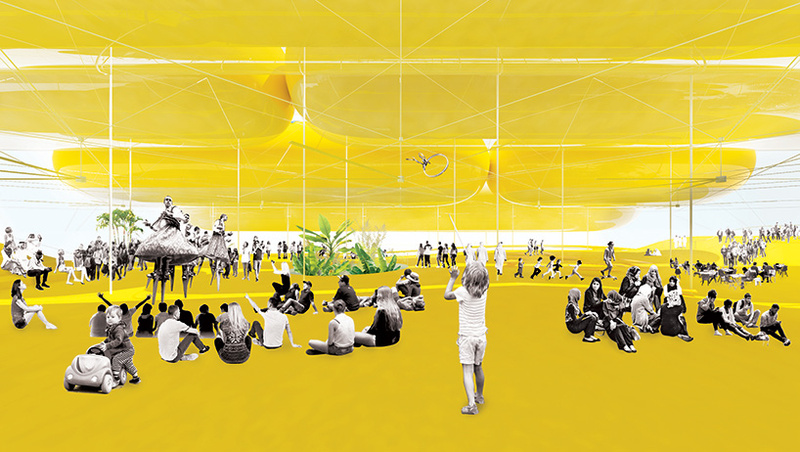 meanwhile, a single-floor exhibition space joins other services beneath the pavilion’s elevated square. 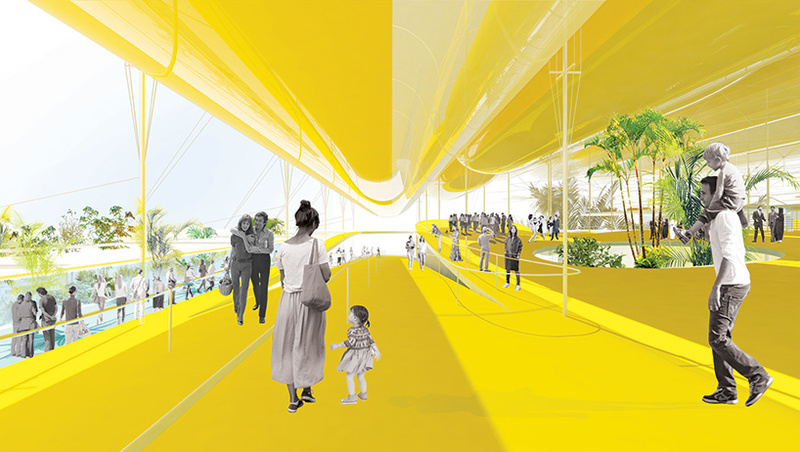 the design intends to emit zero emissions thanks in part to 1,000 square meters of rooftop photovoltaic panels. 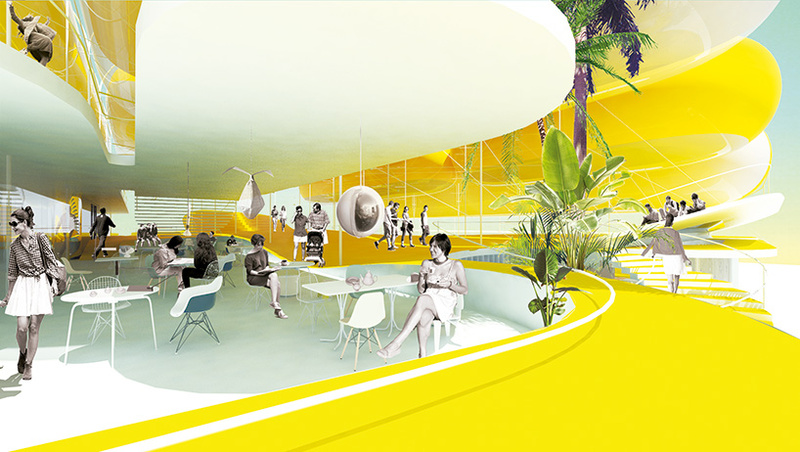 the design team also suggest that the structure, particularly the inflatable deck, could be easily assembled in a second location, such as a fairground. as more than 80% of the material used will be certified recycled material, other elements could be recycled or reused independently. 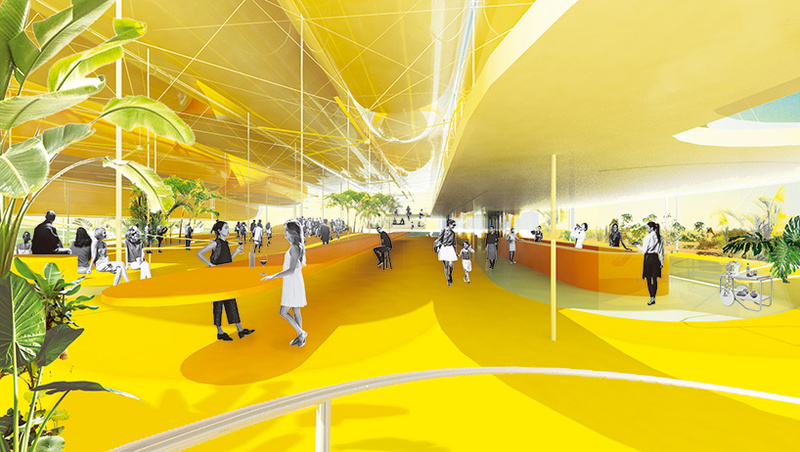 see designboom’s ongoing buildup to the 2020 expo here. looks like a hotdog stand. Currywurst anyone?